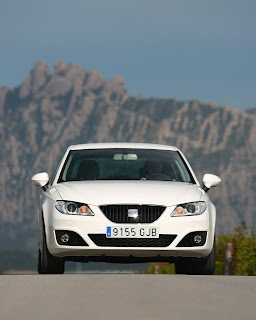 LONDON : December 29, 2008 - SEAT reveals prices and full specification details for SEAT’s all-new Exeo saloon, confirm that the Spanish upper medium segment contender will be a class leader when it arrives in showrooms next spring. 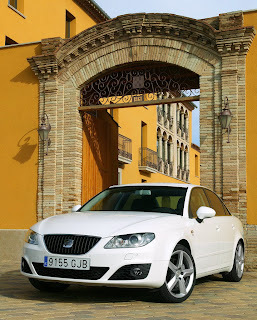 SEAT has presented for the first time the new EXEO to the international public at 2008 Paris Motor Show on 4-19 October. 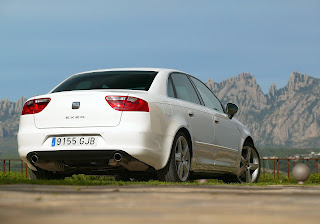 Available from £17,740 RRP, the elegant five-seat saloon promises premium quality and exceptional levels of standard equipment, alongside a healthy dose of SEAT’s trademark sporting character. The firm has confirmed that its luxurious Latin newcomer, due to go on sale here in April, will be offered in S, SE, Sport and range-topping SE Lux trim levels, with an initial choice of three outstanding engines. All Euro V-compliant, the powerplant selection include a brace of hi-tech common rail turbodiesels producing 143 PS or 170 PS, as well as a potent 200 PS turbocharged petrol. 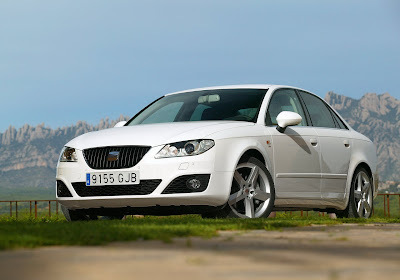 They are all mated, as standard, to a six-speed manual gearbox and all endow the Exeo with spirited performance. At launch, the new SEAT saloon’s 0 to 62 mph times range from 9.2 seconds (for the 143 PS TDI) through 8.4 seconds (170 PS TDI) to a distinctly spirited 7.3 seconds for the 200 PS TSI petrol-powered version. Maximum speeds, where legal, are 133 mph, 142 mph and 149 mph respectively. Fuel economy and exhaust emissions, both important considerations for private and business buyers alike in today’s straitened circumstances, are commendable. Depending on engine, the Exeo is capable of up to 51.4 mpg (on the combined cycle) with an official CO2 emissions figure of as little as 143 g/km. Among the equipment highlights guaranteed to appear across the new range are USB connectivity (allowing MP3 music players to be used in-car); cruise control; steering wheel-mounted audio controls; dual zone climate control and stylish alloy wheels. Front fog lamps, electrically adjustable and heated door mirrors, electric windows all round and colour-coded door handles and mirrors are also standard on every Exeo. Step up to the Exeo SE and buyers can look forward to rear parking sensors, automatic lights and wipers, auto-dimming rear view mirror, leather steering wheel and gearknob, and an acoustic windscreen among the standard features. As well as the equipment found in SE spec’ cars, Exeo Sport buyers naturally benefit from the likes of sports suspension, sports seats and stylish 18” alloys, while those who opt for the range-topping SE Lux will enjoy black leather upholstery and bi-xenon headlights with AFS among their standard-fit kit. 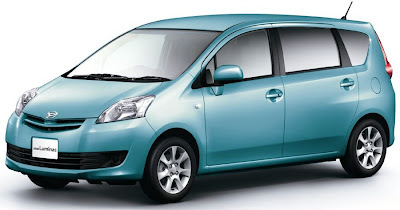 Safety and security are comprehensively catered for as ESP and EBA are universal features, likewise active front head restraints, rear-seat ISOFIX points with Top Tether, six airbags, volumetric alarm with tilt sensor and remote central locking. Quality, at every step of the car’s design and construction, is a key advantage for the Exeo as it prepares to make its UK debut. Meticulous attention to detail, allied to that generous standard equipment, combine to give the four-door a touch of real luxury. 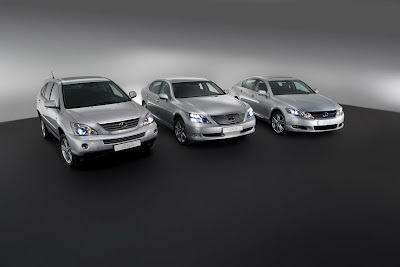 Finally, an extensive array of options allows Exeo buyers to precisely personalise their cars. A DVD-based satellite navigation system, double-glazed side windows, electrically adjustable and heated front seats, and hi-tech solar sunroof all number among the extras available. STUTTGART/LEIPZIG : December 29, 2008 - Dr. Ing. 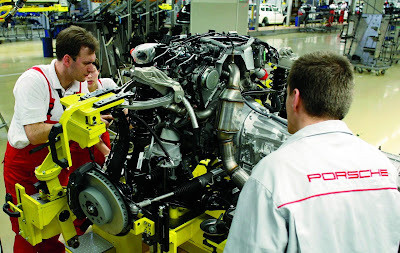 h.c. F. Porsche AG, Stuttgart has started production of the new Cayenne Diesel at its Leipzig works. The sports utility vehicle is equipped with a three liter V6 turbo diesel engine with 240 HP (176 kW) supplied by Audi AG. The engine in the new Cayenne distinguishes itself through its spontaneous vehicle response. In addition, its brawny torque of maximum 550 Newton meters offers spor-ty handling and masterful road sovereignty, thereby delivering that pure driving pleasure typical of Porsche. Nonetheless, the Cayenne Diesel consumes an average of only 9.3 liters per 100 kilometers, its CO2 emissions are 244 grams per kilometer. This new addition to the Cayenne family now makes for a product line of seven models. The Cayenne Diesel will be available for sale from February 2009 onwards. Fitted with the tried-and-tested Tiptronic S automatic transmission as standard, the basic Euro price will be about € 47,250. In Germany, the Cayenne with diesel engine, including 19 percent VAT and country-specific equipment will cost € 56,436. 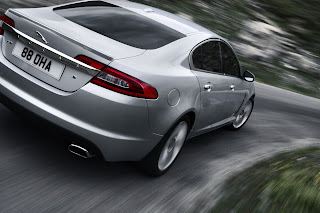 EMBARGO: December 2008 - The new XF V6 Diesel S – combining superb performance and excellent fuel economy - sets the pace with acceleration from 0-60mph in 5.9 seconds, a maximum speed of 155mph, yet delivers an average fuel consumption of 42mpg and CO2 emissions of 179g/km. 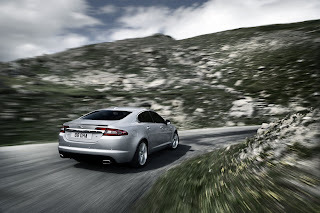 When it was introduced last year, the XF was recognised as a dramatic expression of a bold new Jaguar design language. It also soon became apparent that here was a car where the driving experience exceeded the expectations created by the striking appearance. Now, the new XF Diesel S takes this driving experience to new levels, shifting the balance even further towards dynamic performance while still retaining the XF’s core values as a refined and luxurious sports saloon. Distinguished by discreet ‘S’ badging, the car that defines Jaguar sporting luxury is even better for the 2010 model year, with a stunning new high-performance diesel. Powered by a 275PS engine, the Diesel S gives the XF outstanding levels of performance, accelerating from 0-60mph in just 5.9 seconds, 1.8 seconds quicker than the excellent 2.7-litre model. In-gear acceleration is equally impressive, with a 50-70mph time of just 3.2 seconds. Maximum speed is electronically limited to 155mph. 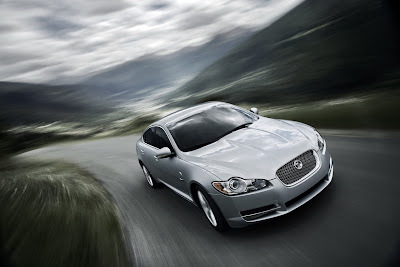 Featuring parallel sequential turbochargers to help deliver the high levels of power and torque seamlessly and with effortless flexibility, this engine is perfectly matched to Jaguar’s sophisticated six-speed ZF 6HP28 automatic transmission. There is an equally impressive 240PS version of the new 3.0-litre engine available too, which produces 16 percent more power and a 15 percent increase in torque over the 2.7-litre diesel, allowing the XF to reach 60mph in 6.7 seconds. Its 50-70mph time of just 3.7 seconds is only fractionally slower than the 275PS Diesel S model. Maximum speed is 149mph. And like the 275PS engine, these great performance leaps are achieved with combined average fuel consumption of 42.0mpg – an improvement on the 2.7-litre diesel of over 10 percent – and a CO2 emissions rating of only 179g/km. There are also significant trim and specification changes – including many new features – and the introduction of a new Portfolio derivative as part of the core range. 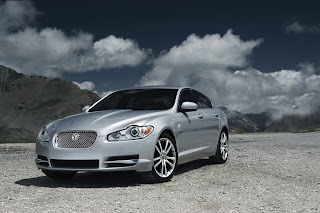 For Jaguar and the new 2010 model year XF, the high-performance diesel has truly arrived. 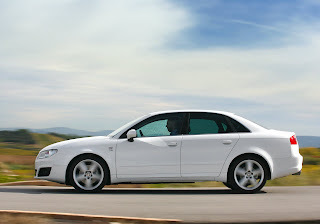 Pricing for the 2010 model year diesels – which will carry a premium over the current 2.7 – will be announced shortly. The acclaimed XF 2.7 Diesel has won several accolades, including in the UK What Car magazine’s ‘Diesel Car of the Year’ and ‘Car of the Year’, What Diesel magazine’s ‘Diesel Car of the Year’ and the Association of Scottish Motoring Writers’ Best Diesel of 2008. Additionally, the XJ 2.7-litre Diesel was also named Britain’s greenest luxury car in the Environmental Transport Association’s 2008 Car Buyers Guide for the second year running. Drawing on the experience gained in designing the original, acclaimed 2.7-litre engine, the new 3.0-litre AJ-V6D Gen III diesels demonstrate that it is possible to deliver improved performance, while reducing CO2 emissions and fuel economy. In the XF, the new engine produces 10 percent less CO2 than the 2.7-litre, while power has increased by 33 percent in Diesel S guise. As well as tackling CO2, the new 3.0-litre engines meet the forthcoming EU5 regulations, due to come into force at the start of 2011. And these great performance leaps are achieved with combined average fuel consumption in both models of 42.0mpg – an improvement on the 2.7-litre engine of 12 percent. 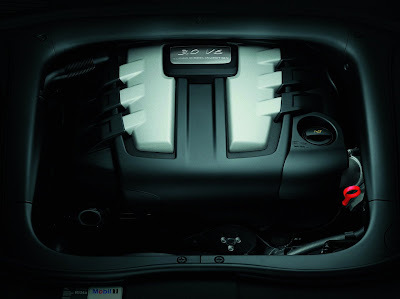 A key feature of the new engine is the unique, parallel sequential turbocharger system, the first of its type to be fitted to a V-engine anywhere in the world. 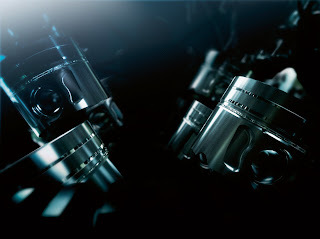 Delivering high torque throughout the entire engine rev range, improved throttle response and low CO2 emissions, the twin-turbochargers work sequentially to deliver unrivalled response and best-in-class torque – an impressive 61 percent more than the 2.7-litre diesel from 1500rpm – while packing a huge punch at higher engine speeds. For most day-to-day driving, including motorway cruising, a responsive, variable-geometry primary turbocharger does all the work, while the smaller, fixed-geometry, secondary turbo is dormant, saving energy and improving efficiency. When the engine revs climb above 2800rpm, the secondary turbo is brought on line within 300 milliseconds, smoothly and seamlessly boosting the engine output with no discernible turbo-lag or power-step. Driving a turbocharger requires pressure from the exhaust, creating pumping losses in the engine and increasing fuel consumption. To alleviate this, valves under the control of the engine management system isolate the secondary turbocharger both from the exhaust stream and the engine inlet tract when it is not required. Some twin-turbo systems rely on a smaller turbo for primary use, only using a larger turbo when higher power is required. Though effective, this has the disadvantage of raised exhaust pressure and increased pumping losses. The Jaguar system uses a larger, variable-geometry turbocharger more of the time, which not only reduces pumping losses, but also improves fuel consumption and CO2 emissions. 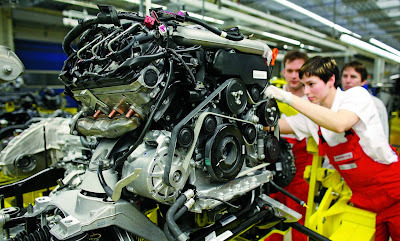 Jaguar engineers particularly focussed on the issue of turbocharger ‘lag’ at low engine speeds. The new AJ-V6D Gen III 3.0-litre diesels significantly out-perform their rivals by delivering 500Nm of torque in only 500 milliseconds from idle. A new commonrail fuel-injection system delivers up to five injections on each cycle at a pressure of 2000bar. Each injector tip is perforated by seven holes through which finely atomised fuel is sprayed into the cylinders. The high-pressure injection increases power, improves economy and reduces both CO2 and particulate emissions. New, third-generation high-speed piezo injectors allow up to five precise injection events during each combustion cycle, minimising engine combustion noise. Piezo crystal ‘packs’ operate each injector by expanding when an electric current is passed through them. They react virtually instantaneously but can make a distinctive click when fired, which can add to diesel engine noise at idle. The crystals in Jaguar’s new injectors are fitted nearer the tip, meaning they are mounted deeper inside the engine providing better sound insulation and quieter operation. Another new feature of the third-generation fuel-injection system is the metering mode. Traditional diesel commonrail fuel pumps oversupply the injectors, with the surplus being returned to the fuel tank. During this process, fuel temperature increases and cooling it again consumes considerable amounts of energy. In metering mode, the pump delivers fuel to the injectors only at the rate required. Consequentially, there is no rise in fuel temperature and no wasted energy. The two cylinder heads, with four valves per cylinder, are made from aluminium and the cylinder block is made from compact graphite iron (CGI). The higher tensile strength of CGI makes it possible to cast a smaller block; some 80mm shorter than a conventional ‘grey’ cast iron equivalent. The new, water-cooled, exhaust gas recirculation system (EGR), important for reducing pumping losses and emissions of NOX in a diesel engine, is more efficient and consumes less power than the 2.7-litre unit. The valves that allow exhaust gas into the system are located on the ‘hot side’ of the engine nearest the exhaust manifolds; these valves never cool while the engine is running, so there is no condensation of combustion deposits which occurs on engines fitted with ‘cold side’ valves, hence the EGR system always works at maximum efficiency. Since the EGR cooling is so effective, exhaust gasses can bypass the system and return to the exhaust pipes, allowing faster engine warm-up from start-up and reducing emissions still further. EU5 emissions regulations have been achieved ahead of the 2011 legislative timetable using conventional diesel oxidation catalysts and diesel particulate filters (DPFs). NOX levels are reduced at source through the combustion system design, the addition of the new commonrail injection system and the new EGR system with by-pass. As a result, specialised NOX exhaust after-treatment is unnecessary, avoiding a potential cost and the need to use additional precious metals in the exhaust system. The CGI cylinder block and new piezo injectors reduce combustion noise in the engine. Multiple, precise injections of fuel on the combustion stroke also reduce combustion noise and all engine covers including camshaft covers, front covers and the sump have been optimised to subdue radiated noise. Engine enclosures have been ribbed to minimise radiated noise and the sump pan is manufactured from sound deadening steel (SDS), comprising a polymer layer sandwiched between two layers of steel. Internal friction, a major contributor to unnecessary fuel consumption, has been addressed by careful optimisation of the crankshaft, valves and pistons. 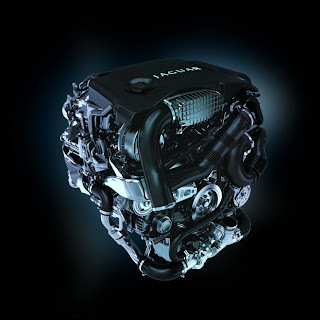 All these features combine to make the new Jaguar AJ-V6D Gen III engines amongst the quietest premium diesels on the market. 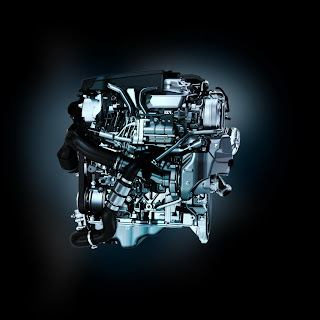 With its parallel sequential turbocharger system, third-generation commonrail fuel injection system and fully optimised EGR system, the new 3.0-litre AJ-V6D Gen III diesel sets new class standards when it comes to power, response and refinement in the premium diesel segment. The roomy, user-friendly and stylish compacts are small enough to make handling easy and big enough to accommodate seven people. Featuring the driving-assistance features and comforts often favored by female drivers, the Passo Sette and Boon Luminas offer added flexibility for mothers with young children and help support active and exciting lifestyles. For the Passo Sette and Boon Luminas, TMC and Daihatsu combined their product-planning know-how, with Daihatsu putting to use its extensive experience in compact vehicles to be in charge of development and production. Daihatsu will supply the Passo Sette to TMC on an original equipment manufacturer basis. The 1.5-liter 3SZ-VE engine and a four-speed electronically controlled automatic transmission with a lockup mechanism provide excellent acceleration performance. 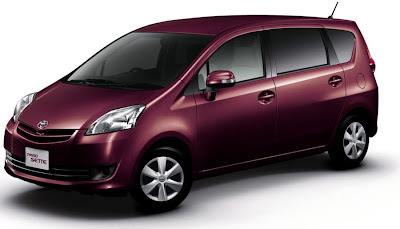 The long wheelbase and wide track provide excellent cruising stability. 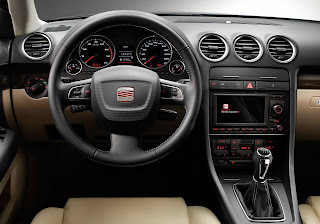 Optimization of the engine mount position and placement of sound-absorbing and sound-blocking materials achieve quietness in the cabin that aids relaxed conversation. An Eco-Drive Indicator lights up to indicate fuel efficient driving. Toyota employed the Eco-Vehicle Assessment System (Eco-VAS), its original comprehensive environmental impact assessment system. This includes setting environmental targets at the start of vehicle development to help reduce factors harmful to the environment by such means as the balanced reduction of CO2 emissions. 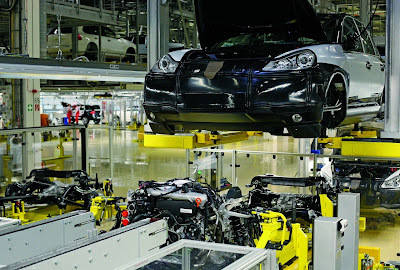 A life-cycle assessment was carried out to achieve a reduction in air contaminants and CO2 from the vehicle throughout its life, from production and use to disposal. *2 Luminas: A coinage drawing on the English words roomy and luminous. 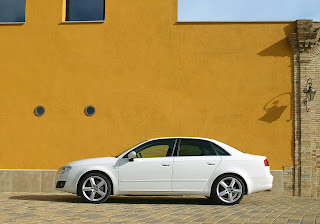 The name is intended to evoke the image of a vehicle that provides new splendor to its occupants. 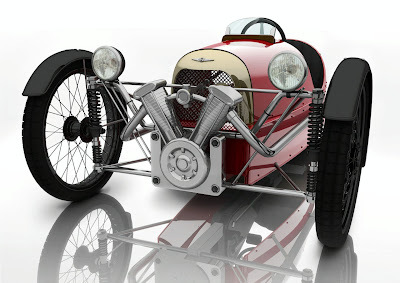 Article navigation: Home / MORGAN / Morgan SuperSports Junior - Kid Racer ?? 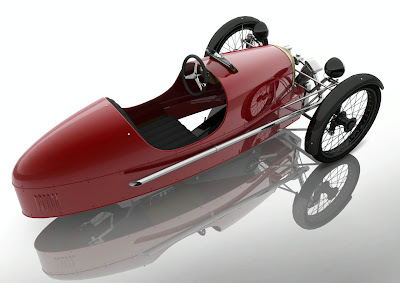 Morgan SuperSports Junior - Kid Racer ?? In the Centenary year no celebration from a car manufacturer as special as Morgan would be complete without the introduction of a new model. In keeping with the tradition of doing things our own way, we are delighted to announce a new model - the SuperSport Junior Pedal Car. 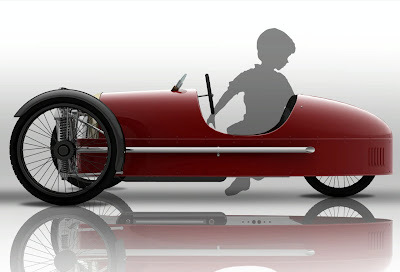 Designed to be built alongside the normal range of cars at the factory, the 2/3rd scale SuperSports Junior pedal car will appeal to the younger element of the Morgan fraternity. Suitable for 6-13 year olds, it requires energetic pedal power rather than petrol or hydrogen for forward motion. True to our core Morgan values it retains our legendary high power to weight ratio. Made from only the highest quality materials and featuring a cast aluminium look-alike engine, the limited run of 500 are expected to sell as fast as they move! 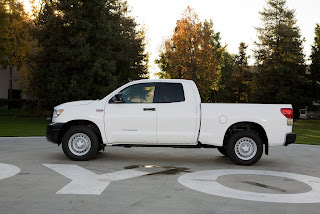 TORRANCE, CA : December 24, 2008 - Toyota Motor Sales (TMS) U.S.A, Inc., today announced that a new work truck version of the 2010 Tundra full-size pickup truck will make its U.S. debut at the 2009 San Diego Auto Show. 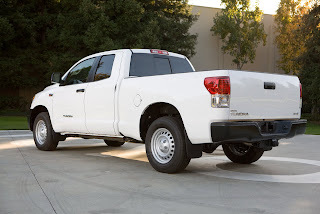 The Tundra Work Truck Package is aimed at commercial truck buyers in industries such as farming, ranching and construction, who require a tough no-frills truck with exceptional cargo and towing capacity. The new Work Truck Package will be available on Tundra 4×2 and 4×4 Regular and four-door Double Cab models in standard and long bed configurations. It will be available with a V6 and two V8 engines including Tundra’s powerful 381 horsepower 5.7-liter i-Force V8, with a towing capability of up to 10,800 pounds. Designed to deliver only the features commercial truck buyers need to get the job done, the Tundra Work Truck Package will be offered at a discount. 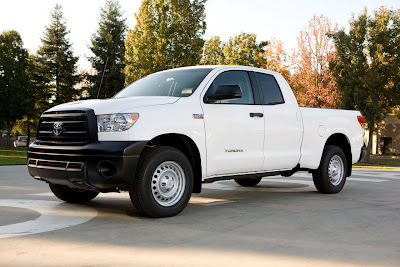 Tundra models equipped with the Work Truck Package are expected to carry a discount that will range from $550 to $655 less than the truck’s standard manufacturer’s suggested retail price (MSRP), depending on the model. Final pricing of the Work Truck package will be announced shortly before the vehicle goes on sale in the Spring of 2009. 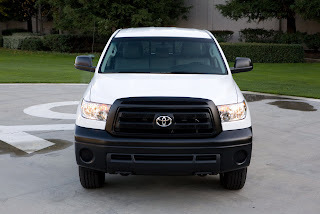 On the outside, the Tundra Work Truck Package will include black bumpers and grille surround, replacing chrome. Power mirrors are replaced by manual outside rearview mirrors. Inside, the truck comes with easily washable vinyl bench seats and rubber floors. 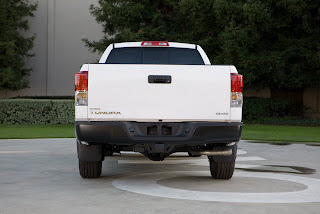 To appeal to target buyers, several Tundra standard personal-use features have been replaced or removed. 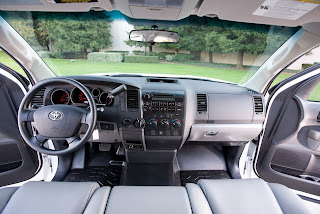 Tundra’s standard silver instrument panel and HVAC controls are replaced by basic black and include voltage, oil pressure and warning lamps in place of gauges. Lighting in the ignition key ring and the glove box are removed along with map and door courtesy lamps. The package also excludes cruise control and the remote keyless entry as standard features, although separate Work Truck packages will be offered with these features. DETROIT : December 23, 2008 - Lexus will reveal an all-new hybrid production model at the North American International Auto Show in Detroit on January 11, 2009. The dedicated hybrid sedan, the HS 250h, will feature a petrol-electric hybrid drivetrain and will become the fourth hybrid vehicle in the Lexus model line-up. 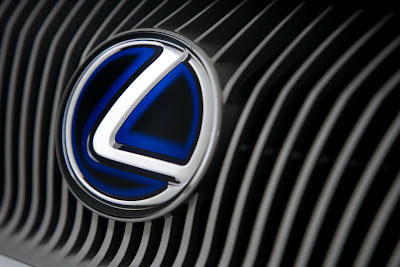 Lexus is the only luxury vehicle manufacturer to offer a range of hybrid vehicles to consumers, including the RX 400h hybrid SUV, the GS 450h hybrid sedan and the LS 600hL hybrid saloon. 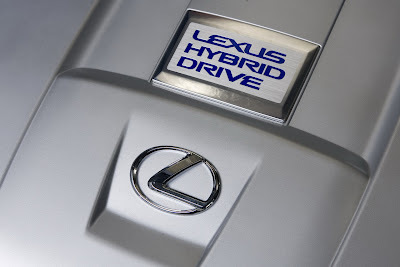 Lexus Chief Executive John Roca said that the debut of Lexus’ fourth hybrid model serves to reinforce the company’s commitment to hybrid and the relevance of the technology to consumers. “Lexus hybrids were the pioneer in the luxury market - for almost three years we have had hybrid technology in the marketplace,” said Roca. “While other manufacturers continue to contemplate the technology we are out there offering them to consumers. “In 2009 we will launch the next generation hybrid RX SUV, the RX 450h, and the emphasis is on the next-generation because there are already well over 1500 RX customers enjoying the benefits of hybrid technology,” said Roca. “The HS 250h will initially launch in the US market and Lexus Australia has indicated its interest in a hybrid vehicle of its type and size for the future,” said Mr Roca. Sign up now to receive news and to hear what's new with Thai Automaxx Reloaded! Copyright © 2008 Thai Automaxx and Thai Automaxx Reloaded. All rights reserved. Thai Automaxx is an independent media publication and not affiliated with all automakers. All brands and logos belong to the individual automakers and used for identification only.